HARLEM — When he was looking to launch the Harlem Arts Festival in the fall of 2011, Neal Ludevig tried to recruit City Councilwoman Inez Dickens, but was unable to get on her busy calendar. And then he just walked into Dickens' office one day and ran into her chief of staff, Lynette Velasco. "She said: 'Sit down. I'll listen to what you have to say.' She didn't know who I was but gave me a shot which I thought was cool because who knows how many people walk into that office on a daily basis," Ludevig said. Velasco liked the group's mission of providing a venue for local Harlem artists and became a part of the group's steering committee. "She acted as an advisor and provided guidance. She raised half the funds for the 2013 festival," Ludevig said of Velasco who died unexpectedly in 2012 at the age of 61. As the festival enters its third year, Ludevig said the group wanted to honor Velasco's contributions to the Harlem Arts Festival and the entire Harlem artistic community. The inaugural Lynette Velasco Community Impact award will be given to Linda Walton, executive director of the Harlem Arts Alliance and musician and social activist Fred Ho, at the group's March 13 fundraising gala. Velasco was known for making sure that small and up-and-coming artists and arts groups in Harlem had access to city funding, often taking the groups under her wing and guiding them through the arduous and frustrating process of applying for grants. "I don't think she realized how much she touched our cultural institutions," Dickens said of Velasco. "She was my creativity." Many thought Velasco's interest in the arts came from the fact that the Hampton University graduate was herself a writer, poet and teacher. At the time of her death, Velasco was working on a book about poet Nikki Giovanni. 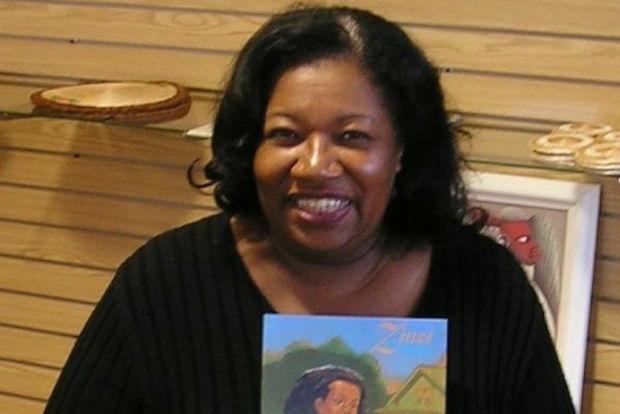 She had previously published a children's book titled "Zinzi: A Child's Journey to Self-Fulfillment, Giving and Caring." "She understood the nuance and the inner workings of government but also understood the artistic aspect and would help us tailor our approach," said Walton. Ludevig said Walton was the perfect choice to receive the inaugural Lynette Velasco award because she, like Velasco, has functioned as a mentor and guide to hundreds of artists and groups, including the Harlem Arts Festival. "The Lynette Velasco award is recognizing those people that have a life-long commitment to the community of Harlem," said Ludevig. Ho, a well-know saxophonist and composer, is also a social activist who helped to meld Asian and African influences in the world of jazz. Ho, who is also battling cancer, served as a mentor to an artist who performed at the Harlem Arts Festival. In the Harlem Arts Festival spirit of promoting local artists, the actual award was designed by an artist from the first festival. Walton said she's honored to receive the award, especially since Velasco's name is attached. "For all those cultural warriors — Lynette and I included — we go about doing our work and not thinking about recognition," said Walton. "I don't know if we can say why we do it other than a connection to the arts and community viability, or just a connection to the world."